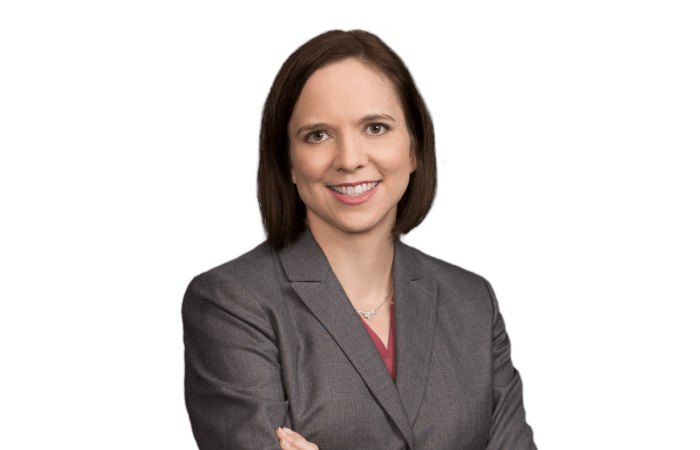 Kate Jilka Bree has several years of experience representing a Class I railroad and various product manufacturers in defense of personal injury litigation, including toxic tort, products liability, and FELA cases. She also previously represented clients in litigation involving other personal injury case, including medical malpractice, automobile negligence, and premises liability matters involving acute injuries. She has had an active role in all phases of litigation, including evaluating cases, conducting depositions of fact and expert witnesses, representing clients at motion hearings, and preparing motions and briefs for trial and appellate matters. Kate has developed expertise in briefing issues related to claims under the FELA, Locomotive Inspection Act, and Safety Appliance Act.